No traveler in the Southwest can ignore the abundance of gorgeous silver and turquoise jewelry available at every turn. It has become such an established part of regional experience that many visitors are surprised to learn it is not an ancient, indigenous tradition. Silversmithing was introduced to the Navajo and then the Pueblo tribes barely 150 years ago. 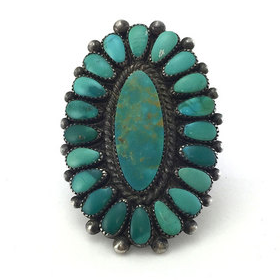 The truly remarkable aspect of Native American jewelry, however, is the speed and dexterity with which Native artisans adapted many different cultural and technical influences to create an artistic tradition that’s truly their own.